The Villages In Action 2010 Conference was held today in a small, remote village outside of Masindi, Uganda. This was organized by Teddy Ruge of Project Diaspora, in response to various events in DC and NYC where smart, affluent individuals discussed the status of the Millennium Development Goals (MDGs) in a comfortable setting, without the impoverished at the table to provide their input. The idea was to offer an opportunity for the poor to speak their minds about what makes a difference and what doesn’t on the ground, including development aid. In addition, it was a chance for these folks to highlight their culture, passion and successes in what works in the villages. There was a desire to live stream the VIA event, to provide a platform for these voices, so I offered my professional assistance back in October. Sort of a micro-volunteer effort; one of a few irons I have in the fire. This was initially going to be conducted as a TEDx event, which is another story altogether. What I found particularly exciting about this, was the opportunity to give these proud individuals a chance to communicate and tell their story, to share their human experience – on the global stage. 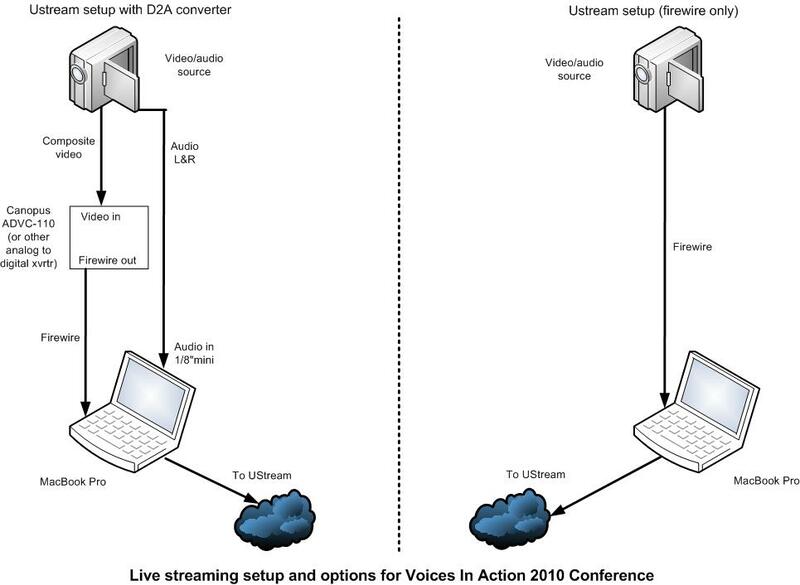 Over the last several weeks I prepped and tested a UStream account that would be used for VIA2010. The result was a pre-configured UStream account, with all video and social media embed codes as well as instructions and diagrams on how to make use of UStream with a Mac and the audio peculiarities (with Camtwist). The audio is always the tricky part in any live event. Other than some minor audio issues early with the mixer equipment provided by the local video crew, the live video streaming and the conference itself was a huge success. The final number on the live stream was 570 viewers, which is quite good considering the minimal marketing efforts…mostly through social media outlets. First and foremost, this could not have been possible without sufficient and reliable broadband Internet access at the village site in Kikuube. We attempted to work with MTN-Uganda, through some contacts I met last year, to no avail. However Teddy was able to team with Orange Uganda and get their assistance, as they obviously understood the significance of the event. The team from Orange was able to provide 17Mbps of Internet bandwidth at the site, which is incredible, especially considering the infrastructure! The connectivity was key for both the live stream and the various panelists and participants to interact and share this happening with the world, through social media and video – once again helping tell their story. On a side note, the last five days I’ve been in the Upper Peninsula of Michigan (Stalwart area), for deer season and Thanksgiving with family. This area has very little fixed or mobile broadband access, so I was working at a bit of a disadvantage as I was unable to watch or monitor the live stream; so I followed along via Twitter. When audio issues arose at the start of the conference, I was able to offer my expertise, troubleshooting and assistance via email and Twitter. 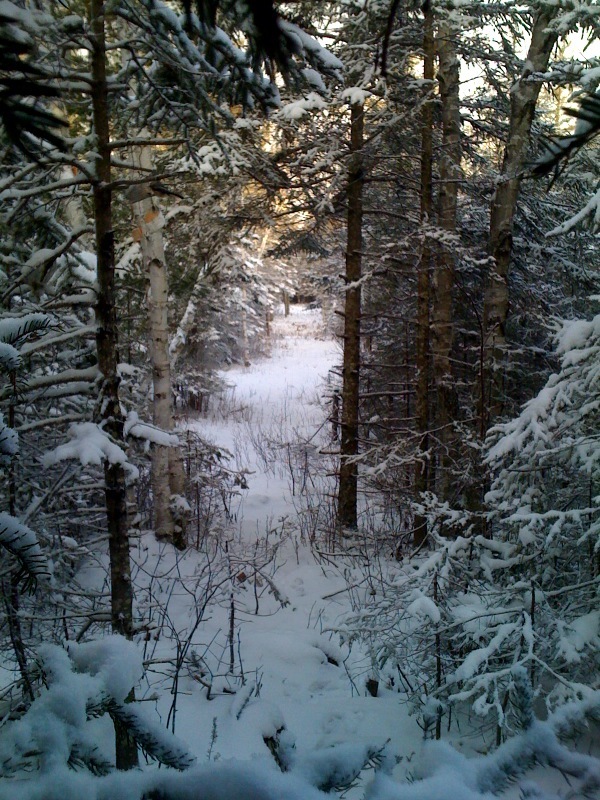 All this over a very weak AT&T Edge connection, with my iPhone, from my deer blind, in the middle of the woods. Note the irony with the connectivity. Overall, I was quite happy and humbled to play a small part in assisting with this special experience. Congratulations go out to Teddy Ruge for his vision and determination to make this a success, and provide an outlet for these voices to be heard. I look forward to assisting Project Diaspora in any future VIA events.